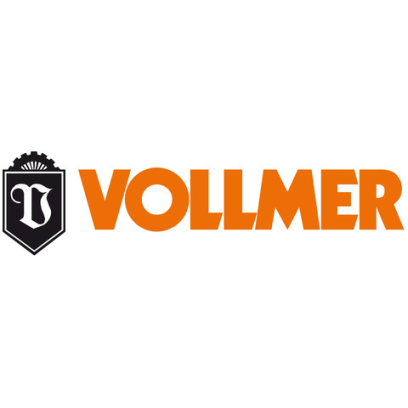 The new performance package is one of the first products from VOLLMER’s V@dison digital initiative, which aims to integrate the mechanical engineering company’s grinding and eroding machinery into an IoT environment to help tool manufacturers implement their Industry 4.0 projects. The sharpening specialist VOLLMER has recently further optimized the machining processes of PCD (polycrystalline diamond) tools for its QXD 250 erosion machine. The company’s newly unveiled performance package is designed to reduce machining time, thus significantly increasing machine efficiency. This optimization is based on seamless interaction between generator technology, process parameters, gap evaluation and drive technology in the QXD 250. The performance package is part of VOLLMER's new V@dison initiative, which is aimed at advancing the company's digital strategy. "PCD tools play a key role in machining metal and composite materials thanks to their resistance," explains Dr. Stefan Brand, CEO of the VOLLMER Group. "We have an extensive range of products for manufacturers of PCD tools, including the QXD 250 disc erosion machine, which we worked on intensively to optimize. We are now offering a new performance package consisting of software and hardware, which can be used to significantly improve machine performance in terms of efficiency." The QXD 250 is designed to accurately sharpen various PCD tools in just one clamping operation. VPulse EDM generator technology ensures excellent surface quality with the highest material removal rate. In addition to the comprehensive software available for PCD tools with inserts, ExLevel Pro software allows users to carry out hybrid sharpening (eroding and grinding) on cylindrical slugs with sintered or soldered PCD to produce drills, mills and reamers.